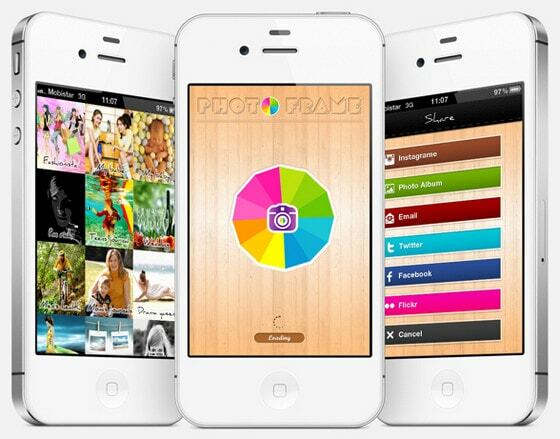 enhance personality of an app. Skillfully collaborating with other decorations, textures can easily complement or fetch out adornments, making an interface look unique and memorable. Punters Club by Sergey Valiukh has a mind-blowing design with skillfully implemented textures, sophisticated coloring, and subtle shadows. Every functional part is noteworthy for its highly-detailed and polished execution. Ftou Ftou Ftou by Lefteris Papadeas Designer beautifully leverages a cloth texture that is decorated with hand embroidery. 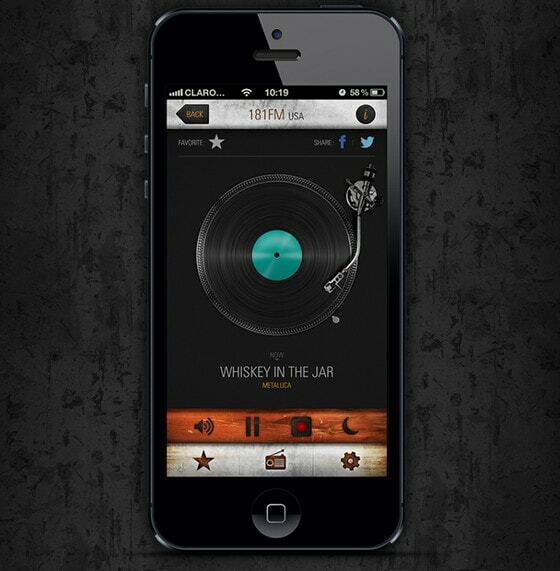 Wood texture serves as a perfect background for such adornments, giving an app a rather realistic feeling. 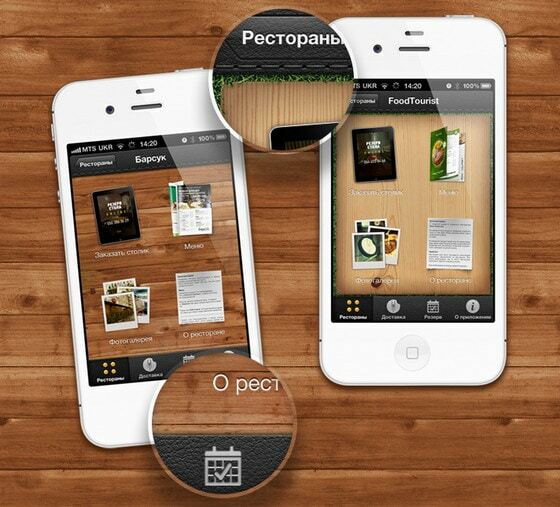 iFoodie app by Vadim Sherbakov has an amazing, absolutely incredible interface with a lot of thought-out details. 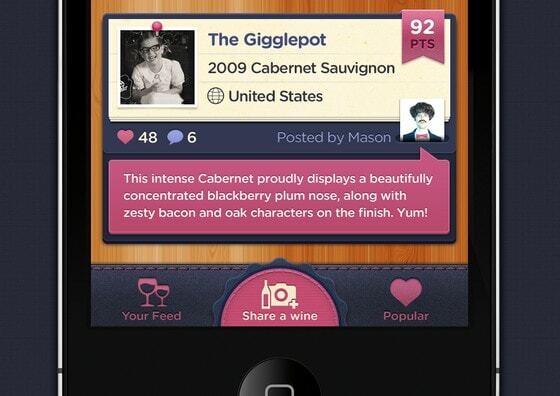 Harmonious color palette, well-balanced combination of ribbons and tags and, of course, skillful implementation of wooden and paper textures definitely make app to stand out from the crowd. 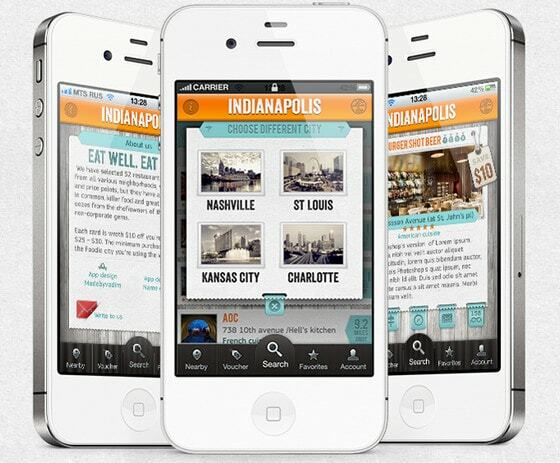 Restaurant App by Polk. Designer also focuses on details to a greater extent. Leather textured header with neat stitched effect goes well with organic background spiced up with wooden and grass textures. 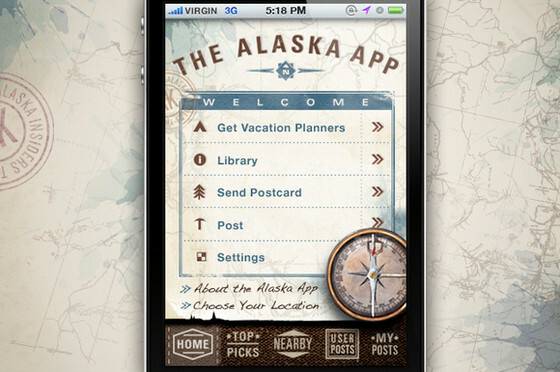 Alaska iPhone App by Urban Influence has a wonderful maritime vibe with a slight vintage touch. Cold coloring, graphics with a touch of an antiquity, and a rough texture in footer all together ably completes the look. Rock Radios Collection by Rafael Bombana goes for urban grunge style to its design. Polished metal header in conjunction with vivid wood texture background of a player and aged footer with slightly scratched surface gives UI specific look. Flowerly. Designer makes use of natural grey wood texture that is ably supported by lovely blue panels, frames and buttons, making an interface look more elegant and pleasant. 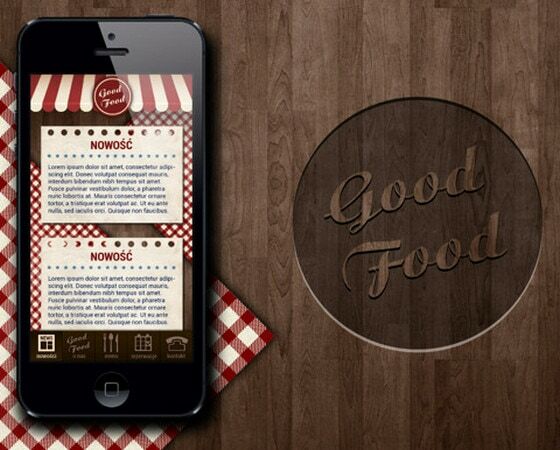 Good Food by Julia Czingon has an exquisite complex interface design that plays heavily on various textures. 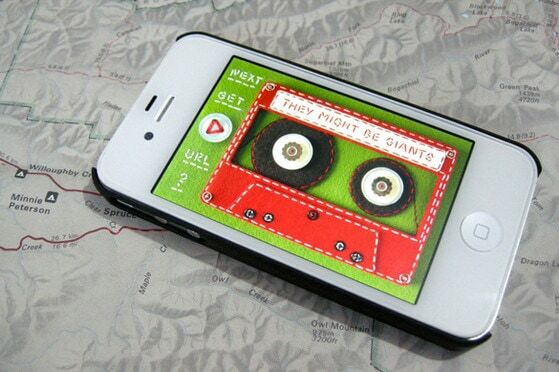 Felt Cassette Tape for iPhone App by Hine Mizushima fascinates users with its marvelous cloth-inspired interface that is designed in meticulous detail. Mobile App by Maria Karydi easily increases appetite via food themed decorations, realistic table cloth background and tempting red color. 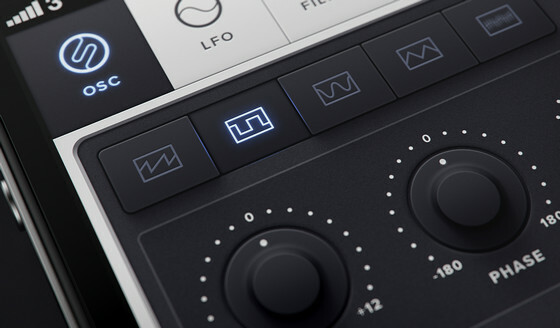 Navigation UI Tab Bar by Mason Yarnell. Designer neatly leverages several textures that beautifully complement each other. While background displays accustomed wooden surface, navigation bar draws the eye to thoroughly treated embellishments with leather and textile touch. 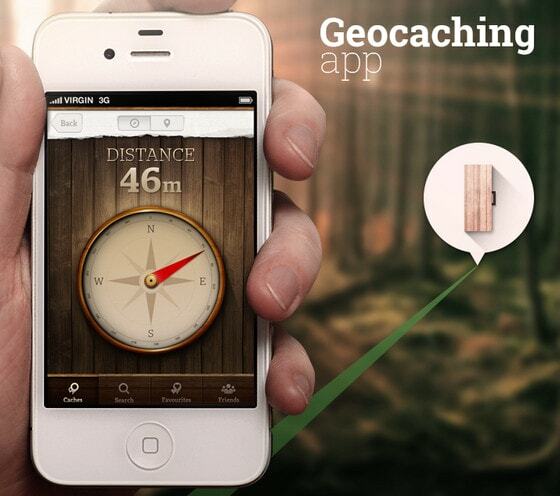 Geocaching app by Radek Skrzypczak looks complex and exquisite. Dark wood texture background helps the content to get more attention. 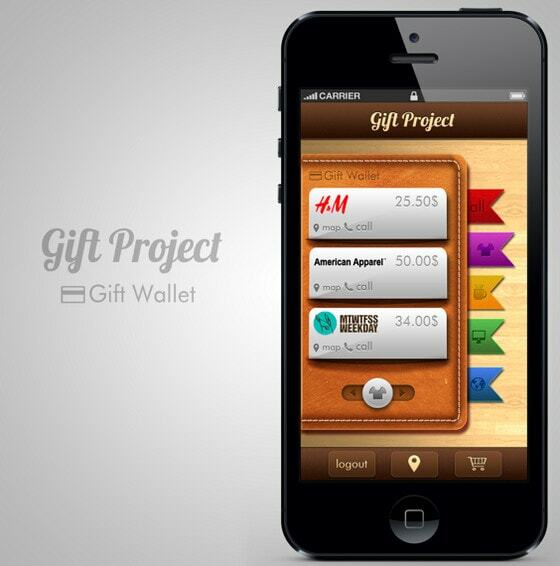 Gift Project App Design by Oliver Ström. 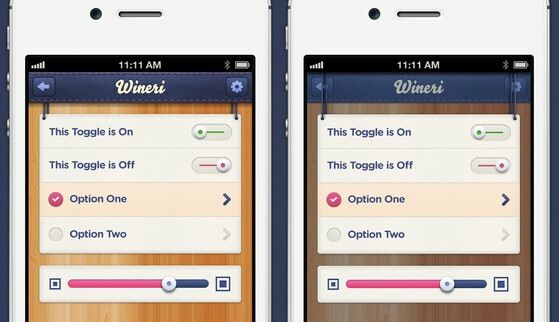 Designer does a great job of combining various textures together in order to give an UI a uniqueness and skeuomorphic allure. 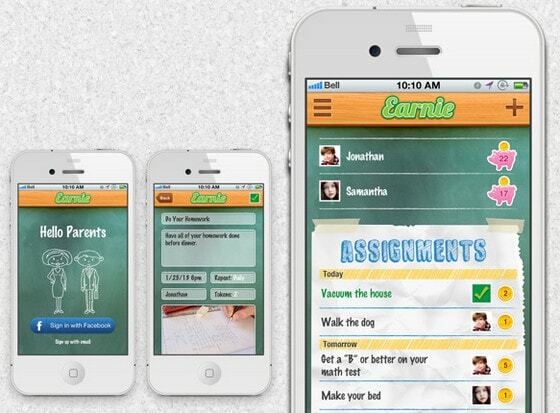 Getbelongings iPhone app by zee7 looks subtle and modern. Light interface is rich in organic textures. 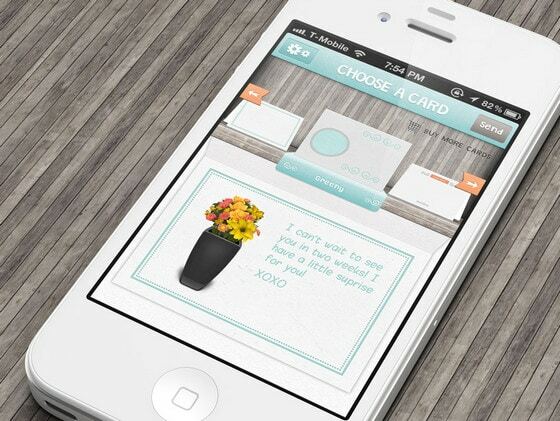 Paper-based content background is ably bolstered by elegant cursive font, vibrant price tags and realistic graphics. Photo Frame App by Amit Rai has a bright colorful UI. Light wooden texture, which is used as a main background works well with vibrant graphical elements. 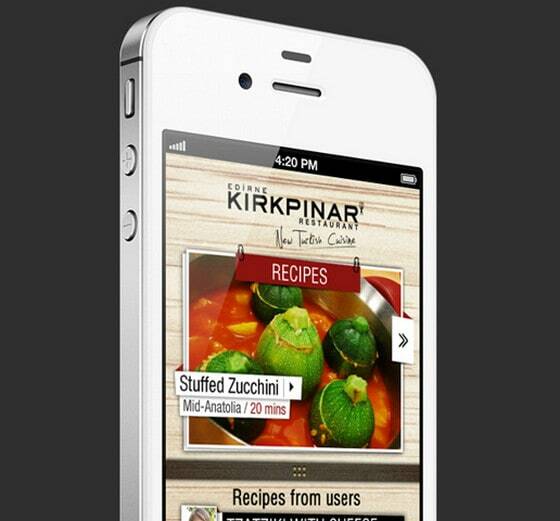 Kırkpınar mobile app by Ramazan Turk is dedicated to sharing different recipes. It has an elegant 3-dimensional feeling. Main slider with delicious food-related images is nicely highlighted by organic wood and paper textures, bold type and flat ornament. 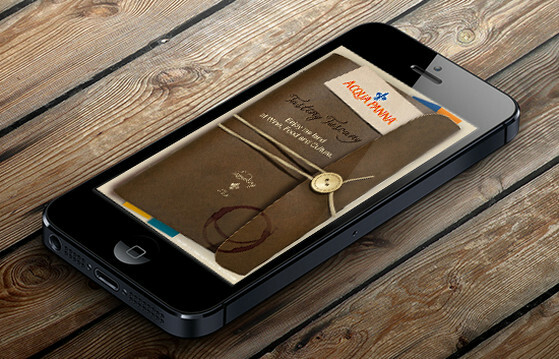 iPhone App by Alessandra Monaco depicts an amazing welcome screen with realistic illustration of vintage envelope that establishes charming adventurous mood. 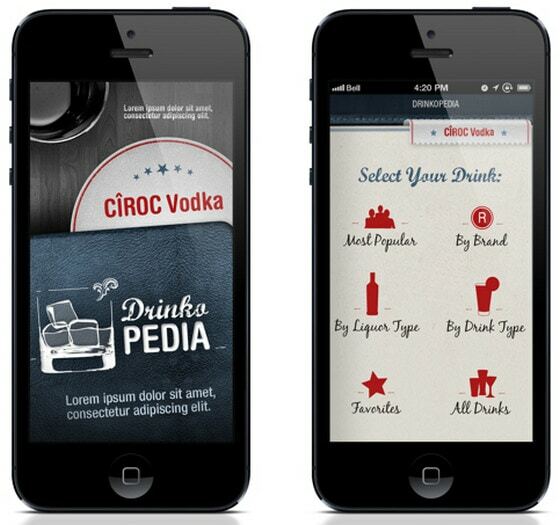 Drinks App by Yanina Fiorillo has a nice texture-driven interface. Designer utilizes 3 popular textures: wood, leather and paper, since they harmoniously interact with each other. iPhone synth app waveforms by Mikael Eidenberg is a truly piece of work. Designer skillfully leverages barely noticeable smooth dark texture in a background that perfectly highlights control center elements. 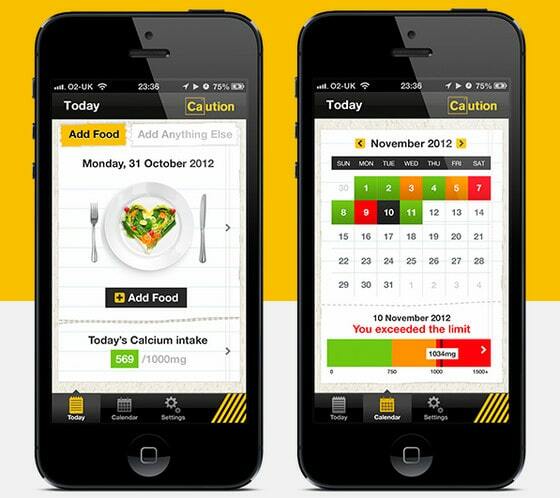 Caution by Przemek Bembnista has a wonderful paper-based UI with clean and light outward and truly positive atmosphere. Foodivide by Yael Nathan. Designer uses habitual dark wood texture background in order to naturally set off foreground elements. College Foodz by Joseph Baggett is another great example in our collection that features wood grain patterned background. 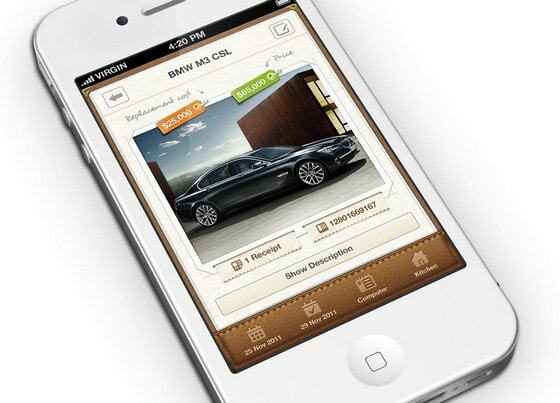 An UI has a beautiful feeling of depth and crafty multilayered appeal. 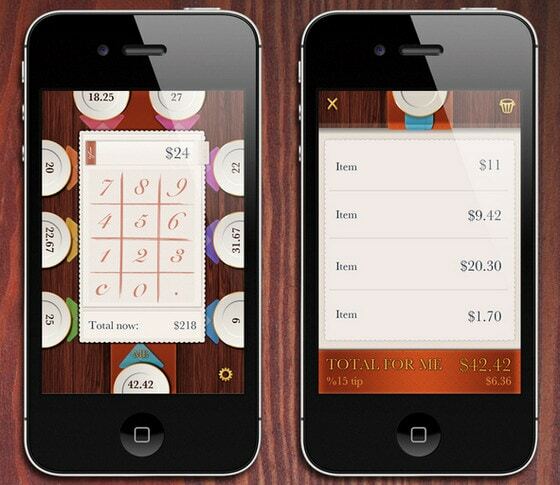 App by Emma Chen is also dedicated to food industry. Designer relies on well-balanced combination of wooden and paper textures that produces rather appealing style. 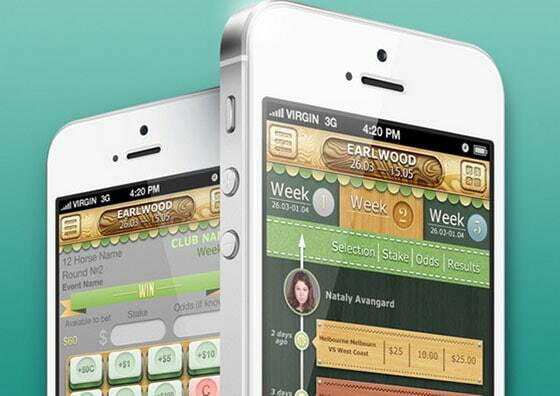 Earnie by Justin Lockwood showcases quite an engaging design with pleasant school atmosphere. Rough background which ably resembles chalkboard, serves as a good base for paper-based content areas with various handwritten fonts. 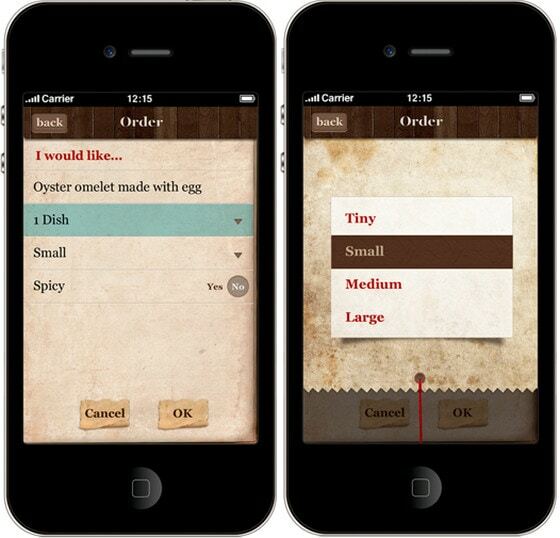 iOS iPhone App Modal Options by Mason Yarnell is based on a streak of bold matching colors, light wood texture and top panel with lovely jeans touch. Foreground widgets look neat, clean and bulging. 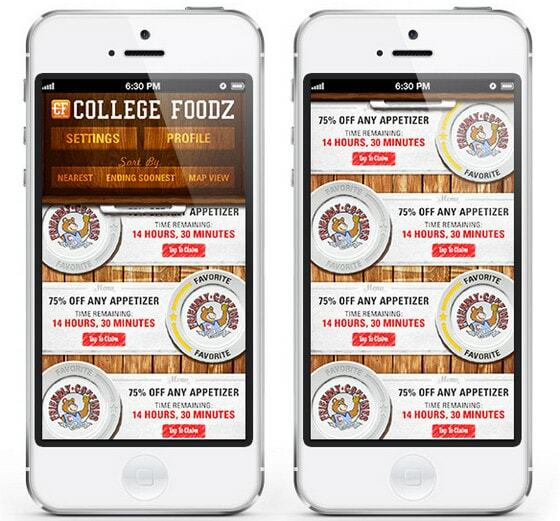 Designers have definitely taken a fancy to utilization wood texture in designing various mobile application interfaces, especially those that are dedicated to food industry. It nicely conveys an organic feeling, naturally adds depth and richness to design, and perfectly works in tandem with other textures. Have you used textures in your designs? Why and when? Feel free to drop us a line. Well.. probably they left out a lot. Anyways, the link you provided shows something which can be neglected or put in the ordinary corner. Nothing special. I like few of them. Maybe it’s because I’m more into simple design.